A rich blend of citrus & spice. 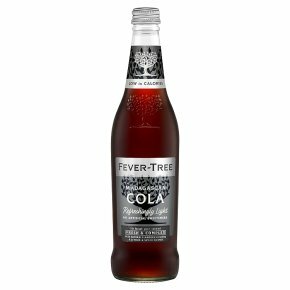 Delicious, low in calories and nothing artificial.Using fruit sugars and a rich blend of kola nut, exotic spices, citrus and vanilla, our delicious reduced calorie cola has been carefully created to enhance the complex flavours of the finest rums, whiskies and bourbons. It has the complex characteristics of our Premium Madagascan Cola but with 47% fewer calories. WARNING: CONTENTS UNDER PRESSURE. OPEN AND HANDLE WITH CARE.